During 1H2018, FTSE Russell (“FTSE”) and MSCI made the decision to upgrade Saudi Arabia to Emerging Market status with an estimated weight of 2.7% and 2.6% respectively. This move is expected to attract over US$ 50 billion into Saudi equities with implementation spread throughout 2019. Another key event in Saudi Arabia which we are closely monitoring is the potential IPO of Saudi Arabian Oil Company (“Saudi Aramco” or “Company”). It has been reported that progress on this IPO has been stalled due to concerns surrounding the valuation of the Company, as well as minority shareholder rights, corporate governance, the politics that are involved in setting oil prices globally and other legal and compliance challenges. Some key executives at the Company who we believe have been working on this IPO have recently been sidelined or have left the Company, which includes their CFO who has been with the Company for over 30 years. This has heightened concerns about the IPO especially at such an early stage in the process. We believe that this could be yet another game-changer, a listing that is expected to boost Saudi Arabia’s weight alone to ~4.5% in the MSCI Emerging Markets Index, but that is yet to be seen whether it goes through not to mention that the calculations are rather preliminary. Kuwaiti equities are expected to attract US$ 800 million in two equal tranches slated for September and December 2018 as the country was upgraded to the FTSE Emerging Markets Index. More importantly, in its latest review (June 2018), MSCI added Kuwait to their watchlist for a potential inclusion in its MSCI Emerging Markets Index. Taking into consideration the FTSE upgrade and the overlap between MSCI and FTSE when it comes to prerequisites leading to such an upgrade, it is expected that MSCI will upgrade Kuwait in June 2019 with implementation in June 2020. Given the current market capitalization levels, it is estimated that Kuwait will witness US$ 900 million of inflows. Furthermore, we remain bullish on Kuwait from a fundamental point of view given the country’s strong fiscal position (lowest fiscal breakeven oil price in GCC at US$ 45 pb) and large reserves. The Kuwaiti Banking sector is overprovisioned compared to its GCC counterparts with the banks being well positioned to benefit from government spending on infrastructure projects. Additionally; retail spending remains strong driven by high disposable income and population growth. Dubai has reacted to the recent economic slowdown by introducing new measures aimed at improving the Emirate’s economic competitiveness. 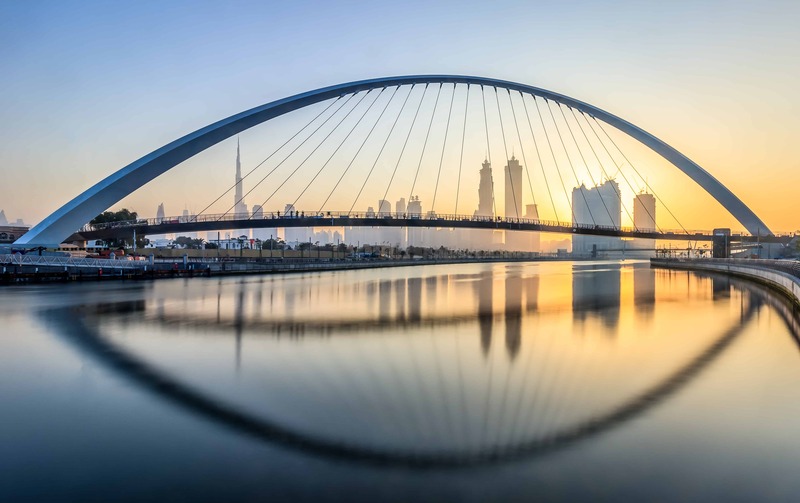 The Dubai government has cut red tape for corporates and has decided to release AED 14 billion, that they currently hold as security against companies’ expatriate employees, back to the companies, resulting in a much-needed liquidity injection to the SME’s. Abu Dhabi announced a stimulus package of AED 50 billion over the next three years, after a period of fiscal consolidation. Qatar benefited from their index-linked trade, driven by the increase in Foreign Ownership Limits for multiple stocks, that was unwound at the end of May. Qatar continued to weather the economic storm caused by the boycott that started in June 2017 and raised US$ 12 billion in debt, indicating that the investors remain comfortable to assume Qatar’s sovereign risk, which can be viewed as a positive development for the country. However, we remain cautious on the outlook of Qatar due to the uncertainty surrounding hosting FIFA World Cup 2022. Bahrain’s lack of a reform plan to address the structural imbalances in the economy has pushed away investors from taking on the country’s credit risk. As such, in June Bahrain’s Credit Default Swaps (CDS) hit a historical high of 609 bps. This has forced Bahrain to call on explicit help from other GCC states, namely Saudi Arabia and the UAE. Oil prices remain well supported and well above the budget forecast range for most GCC countries. They are expected to remain high, driven by global demand coupled with the supply disruption on the back of reinstating sanctions on Iran’s oil exports and lower output from countries with aligning infrastructure such as Venezuela and African producers. We expect Saudi and Kuwait markets to remain well bid for most of 2019 with increased volatility, but with a positive overall trend. Kuwait has been recently overlooked by investors, but has started to attract interest and catch a bid (+10%) during the beginning of July as investors position themselves ahead of the FTSE trade, where the implementation of Kuwait’s inclusion in the FTSE Emerging Markets Index will be spread over two equal tranches in September and December 2018. The GCC region will make up just under 4.0% of the MSCI Emerging Markets Index after Saudi Arabia’s inclusion which should allow this region to claim a permanent part of any global emerging market portfolio as opposed to being just a trade. We anticipate that the market will respond to these inclusions and there will be an increase in products created on the back of it. We believe that this will attract additional capital and interest in the region, boosting liquidity and ironing out market inefficiencies. Monetizing Saudi Aramco through an IPO or a private placement will provide the funding required to carry out the economic reforms comfortably. Furthermore, it represents an opportunity for the Saudi government to borrow against the value of the Company providing a sizeable source of funding. Moreover, the Saudi government could use Saudi Aramco shares as a currency and swap it for strategic stakes in various companies around the world, which would further diversify the government’s investment book. Beyond the near-term index related catalysts mentioned previously, the region’s long-term prospects remain favorable driven by major reform plans, government spending, privatization of government assets and promising demographics which are expected to bolster demand for consumption and services. Finally, we would like to thank all our investors for their continued support and are always available to discuss this commentary in greater details. – MSCI Press Release “Results of MSCI 2018 Market Classification Review”, 20 June 2018. – UAE Cabinet Announcement, 13 June 2018.